Ever wondered why your Wi-Fi signal slows to a crawl every once in a while, rudely disrupting your House Hunters International binge? It could be a wonky router set-up, or it could be some jerk neighbor squatting on your connection like it's the neighborhood Starbucks'. Not only can you find out who's mooching off your Wi-Fi, you can promptly kick them off. Here's the 411. To find out what devices are currently soaking up that sweet, sweet speedy signal, you'll need to log into your router. Type the device's gateway IP address into your browser. The two most popular router brands, Cisco and Linksys, share a default address of 192.168.1.1 -- otherwise, you should be able to find yours on this page. You'll be prompted to enter the username and password, and unless you switched things up when you first installed the router, your username is most likely still the default "admin" and your password is either "password," the router's serial number (which you'll find on the physical router itself), or blank. Next, click on the tab that reads "DHCP Client List" or "Attached Devices," which will show you a list of the MAC addresses for devices currently using your router's connection. If there're more numbers/devices listed than you know should be on there, you've probably got a squatter. It may sound a little complex, but it's actually quite simple. However, if the above seems way over your head, NETGEAR, Linksys, and Apple's AirPort each have dedicated apps that make it much easier for tech-phobic folks to keep tabs on who's using their connection. To make sure lurkers don't continue to slow you down, you've got to switch up your password. Log back into your router and find the security section (it depends on your router brand, but you'll likely find this under a "wireless settings" or "advanced settings" tab. You'll know you're in the right place when you see a drop-down menu with the option to select WPA2 or WPA, and a field for a password or passkey). Select the more secure WPA2 option, and dream up a complex password -- something with case-sensitive letters, numbers, and maybe a symbol or two -- and make sure to keep it on file. 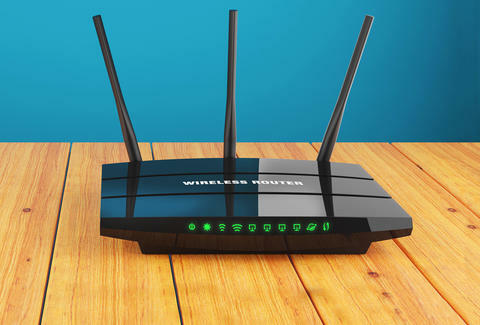 Once you've saved the new password, reboot your router and rejoice in your return to a speedy connection. Joe McGauley is a senior writer for Thrillist who once managed to go a full calendar year secretly mooching off his neighbor's Wi-Fi.